September 30th marks International Translation Day, a day I can’t let pass without a nod to my exhilarating, infuriating some-time profession. The patron saint of translators, St. Jerome, is also the one who, more famously, pulled the thorn out of the lion’s paw. Not entirely inappropriate for a translator who must have labored hard to translate the Bible into Latin. This lovely painting by Lorenzo Monaco, who was born in Siena in the early 1370s and died in Florence some time in the 1420s, is currently on view at the Museum Boijmans-Van Beuningen as part of their Collection Enriched exhibit. 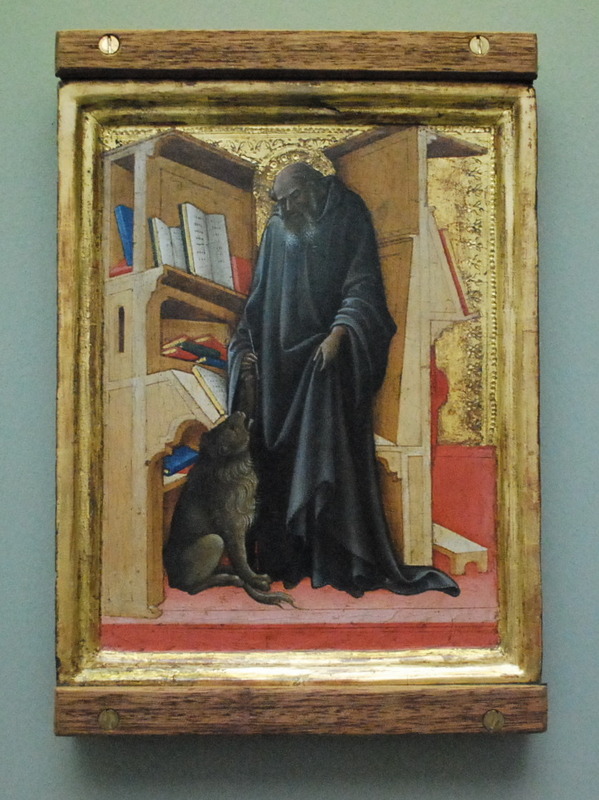 It shows St. Jerome in his study, quill in hand, the lion at his feet, holding up its bloodied paw and asking for help. The work is on loan from the Rijksmuseum in Amsterdam.